I have caught the Wimbledon fever. 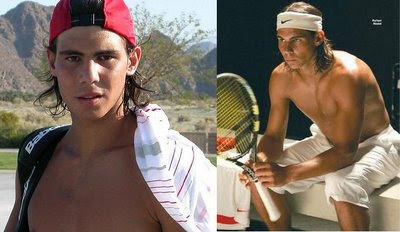 I now officially love Tennis because it's like watching Troy all over again. Remember that fight scene between Eric Bana and Brad Pitt? Well it's like that. It's two men fighting against each other and it's soooo hard to decide which one to cheer on because both of them are gorgeous! The first Wimbledon match I watched was on Monday, live on BBC 1. 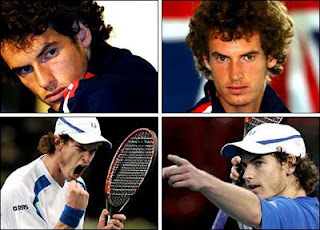 It's a match between gangly-but-cute Scot, Andy Murray (Britain's number 1), and ooh-la-la French Richard Gasquet (World #7 in 2007). Cute Andy on that match was able to come back from two sets down and won the 4-hour epic match. Because of the win he was slated to a match against Spain's Rafael Nadal today. If I had known Tennis would be this pleasing to the eyes, I would have gotten hooked on this eye-candy sport a long time ago!